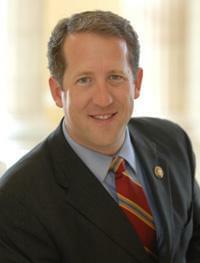 WASHINGTON, D.C. – Congressman Adrian Smith released the following statement after the House of Representatives approved his bill, H.R. 4689 – To authorize early repayment of obligations to the Bureau of Reclamation within the Northport Irrigation District in the State of Nebraska, by a vote of 378-1. “More than 60 years ago, the Bureau of Reclamation stepped in to develop the irrigation infrastructure necessary to create arable land suitable for farming in Northport, Nebraska. My bill allows individual farmers to repay their portion of this debt instead of paying only interest and being subjected to burdensome regulations for decades to come.